Clothing/Jewelry Description Possibly earrings, rings on her left hand, size 0 - 1 clothes, and size 5 1/2 - 6 shoes. Possibly carrying a .38 revolver. Distinguishing Characteristics African-American female. Brown hair, brown eyes. Alice's ears are pierced. She has had two teeth extracted and may have an open-faced gold crown on one of her front teeth. Her maiden name is Jones and she may wear a wig. 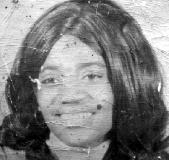 Alice was last seen in Fort Campbell, Kentucky sometime during 1974 and 1975. 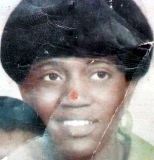 She was living on post with her two small children and her husband, Lee Andrew Jefferson, a soldier who was assigned there between March 1973 and July 1975. She left her vehicle and clothes behind and has never been heard from again. Alice's children were five and six at the time of her disappearance. Lee is not their father. The children remember that one day no one picked them up from school and they eventually walked home alone. They had to knock on the door for a long time before Lee finally answered, sweating and agitated, claiming he had been asleep. Alice was gone, and Lee refused to let the children into their bedroom and made them sleep with him. A few days later he took them to stay with Alice's parents in Arkansas and never returned. 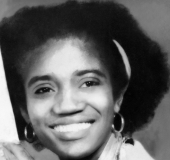 Lee later claimed he did contact the authorities about Alice's disappearance, and Alice's parents also attempted to report her missing, but an official police report wasn't filed until 2013, nearly forty years after she was last seen. Alice's children believe her husband murdered her, but Lee has never faced charges in her case and continues to maintain she simply left him. She has relatives living in the states of Arkansas, Indiana, Florida, Kentucky, Pennsylvania and Tennessee. Her case remains unsolved. Updated 4 times since October 12, 2004. Last updated April 3, 2019; clothing/jewelry description updated.